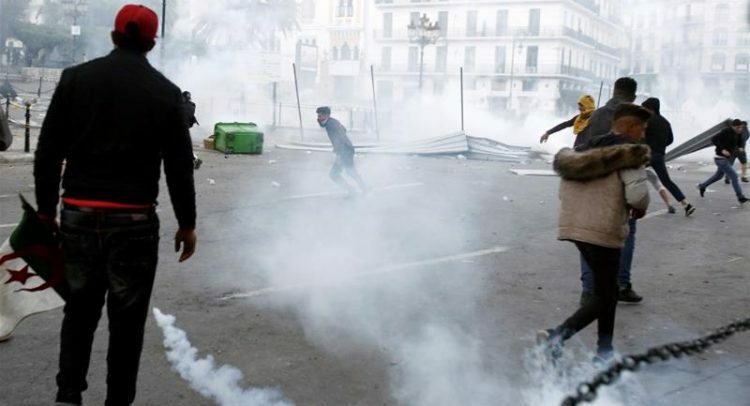 Algerian police have used tear gas and arrested scores of protesters gathered in the centre of Algiers for the first Friday protests since the announcement of presidential elections to succeed deposed leader Abdelaziz Bouteflika. Police said in a statement on Friday that 108 people were arrested after clashes with “infiltrators” among the protesters who injured 27 policemen. Witnesses said police in anti-riot gear fired tear gas in the evening to disperce a crowd of several hundreds of youths in the city centre after an otherwise largely peaceful demonstration joined by families throughout the day. The crowd size on Friday was estimated at hundreds of thousands of people, although there was no official count. The demonstrators were chanting for the overhaul of the government following Bouteflika’s removal.